Home Applications firmware iOS 5 Research Rumors Rumours Is Google Chrome Browser For iOS Coming? 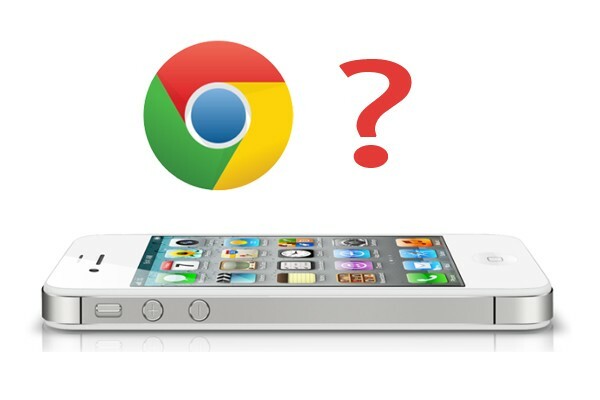 Is Google Chrome Browser For iOS Coming? Surprising reports have been shared lately, claiming that Google Chrome browser for iOS is coming soon. Moreover, some even say that Google has already submitted code for Chrome browser compatible with iOS and Apple is currently reviewing the application. It is widely expected that Chrome browser for iOS will hit App Store as soon as Q2. If appropriately implemented this would be a huge deal for both companies. Google is presently compensating Apple about 50%-60% profits share for searches completed through the Safari search box, meaning that if gross search revenue from iPads, iPhones, and iPod Touches equals $1 billion, Google only gets $400 million out of it, while the total of $600 million is what Apple gets. If Google manages to cut out Safari, then it will own all the searches and will no longer have to share revenues with Apple. Google Chrome has become the second most popular web browser after Internet Explorer and in case of producing a functional iOS browser Safari share will be decreased significantly.